From Goodreads ~ Your style is perfect for you. Public speaking coach to the C-suite Bill Hoogterp shows you proven tips, techniques and exercises to amplify your effectiveness as a speaker and communicator. He explains how the brain processes information, what people respond to, and how to hold the audience in the palm of your hand. Great public speaking can be learned. Hoogterp's unique method turns fear into fun and shows you how to be your natural, authentic, unique self--and deliver your perfect presentation for any audience each and every time. I conduct seminars as part of my job so I like reading books about presenting to learn tips to get better and/or ditch the bad habits I pick up. Yes, you are ... funny! I thought this was a helpful book. I liked the writing style ... it was laid out in an easy-to-understand manner. Rather than just providing the information, there are also "conversations" between the coach and learner(s). At the end of each chapter, there is a summary along with a practice exercise. I thought his theory on why people get nervous when presenting was interesting ... you are focusing too much on yourself and how you assume the audience is perceiving you rather than on focusing on the audience. It's not about you ... the audience is there for your content (but you've got to know your stuff!). Of our total communication, what gets the audience .. I'd recommend it if you are new to presenting and also if you are a seasoned presenter (there's always something to learn). I received a copy of this book at no charge in exchange for my honest review. 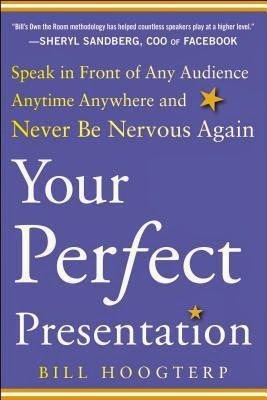 Where was this book back when I took public speaking in college? Thanks Teena, better summary and analysis than I could have done. Great blog.